Have you ever wished for a cream that suits your age? I always get confused as in which cream will suit my skin perfectly. 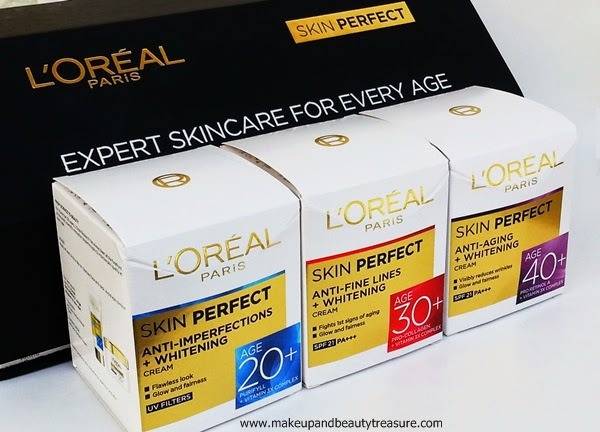 No more worries now as L’Oreal Paris has recently launched “Skin Perfect Range” that consists of three creams according to different ages and skin needs. 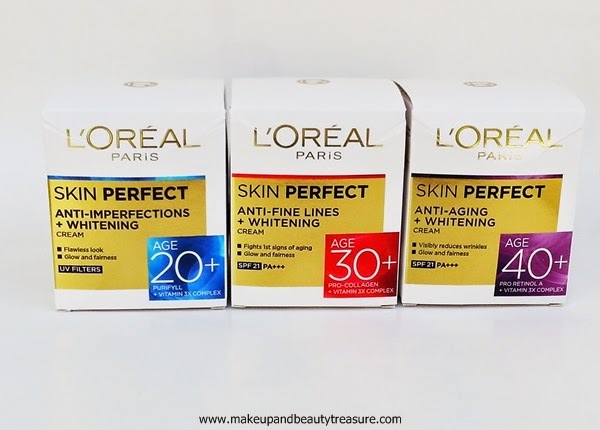 L’Oreal Paris Skin Perfect is a revolutionary skin care range backed by 10 years of research at the global and Indian L’Oreal Research and Innovation Labs. The range claims to give visible results within four weeks of continuous usage. 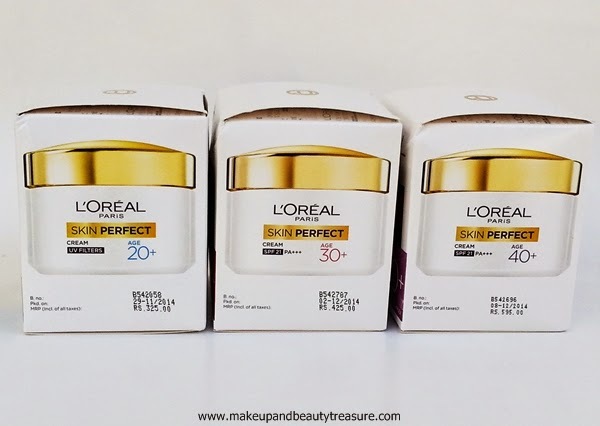 L’Oreal Paris Skin Perfect consists of three creams that are targeted towards 20+, 30+ and 40+ so there is something for everyone. They are priced at Rs 99 onwards. 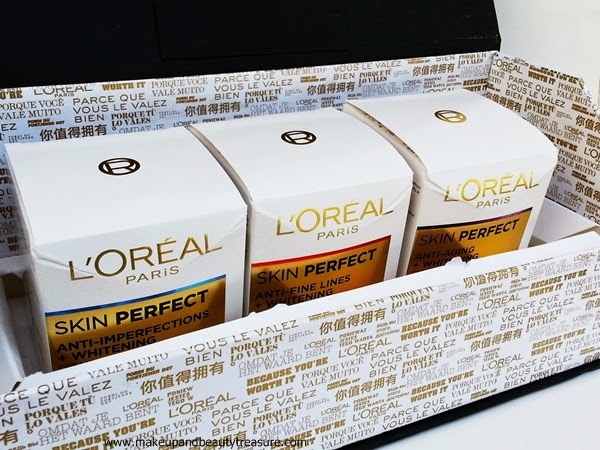 All creams come in a lovely elegant box! 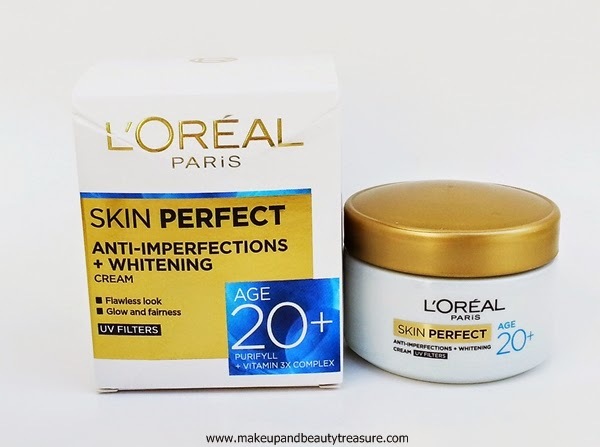 L’Oreal Paris Skin Perfect Anti Imperfections and Whitening Cream is meant for people who are in their twenties. It contains Purifyll, a powerful active, which reduces imperfections such as spots, blemishes, marks and provide oil free look to the skin. It also contains Vitamin E, C and B3 that makes skin bright and healthy. The UV filters protects the skin from harsh sun rays and you do not need to add a separate layer of sunscreen. The 18g Cream is priced at Rs 99 and 50 g Cream is priced at Rs 325. 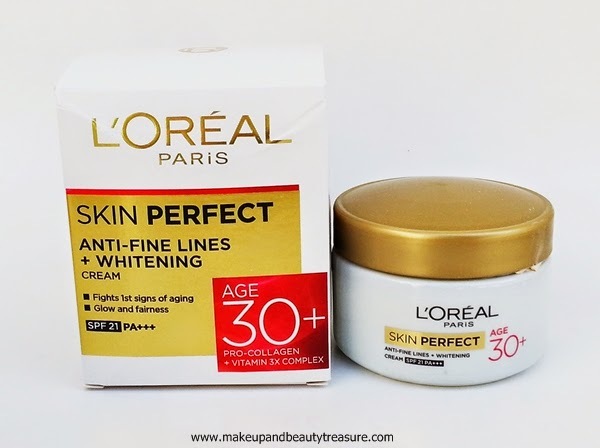 L’Oreal Paris Skin Perfect Anti Fine Lines and Whitening Cream is targeted towards people who have crossed their 30s. It fights first signs of ageing making skin look soft and smooth. It contains Pro Collagen, an anti ageing active that reduces fine lines and makes skin appear smooth. It also contains Vitamin E, C and B3 that prevents skin from getting dull. 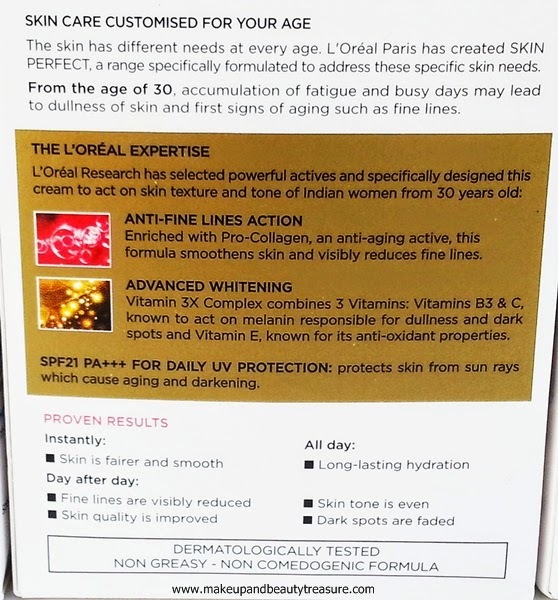 SPF 21 PA+++ protects the skin from harmful sun rays that are one of the main causes of fine lines and wrinkles. 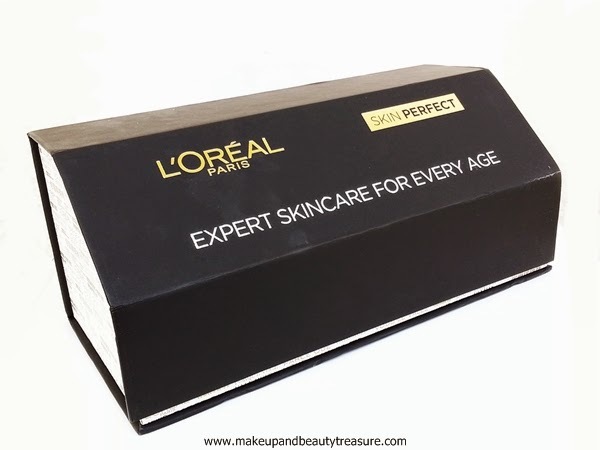 The 18g Cream is priced at Rs 149 and 50 g Cream is priced at Rs 425. 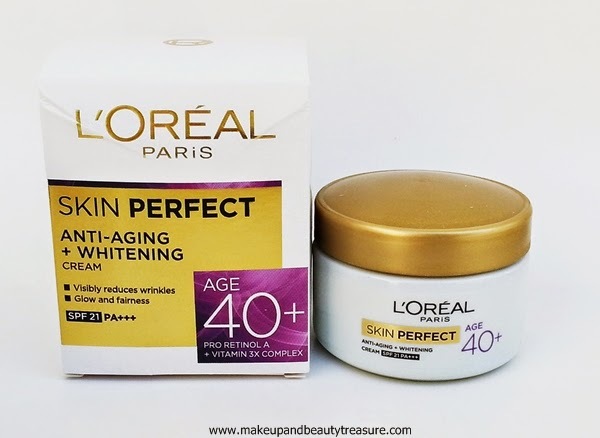 L’Oreal Paris Skin Perfect Anti Ageing and Whitening Cream targets people who have crossed their forties. It contains Pro Retinol A, a powerful anti ageing active, which reduces fine lines and wrinkles and makes skin firm and plumper. It also contains three Vitamins that reduces dark spots and makes skin bright and clear. SPF 21 PA+++ protects the skin from harsh sun rays. 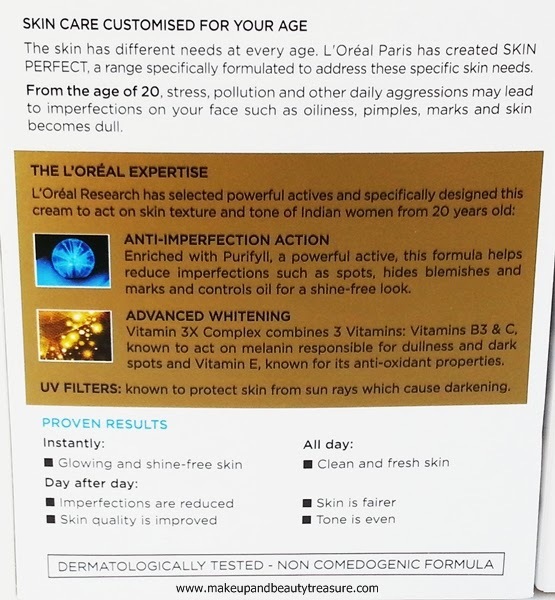 The 50 g Cream is priced at Rs 595. I have been using 20+ cream since more than two weeks and I must say it is a fabulous cream for people of my age group (I am 27 years old!). I had given 30+ to my brother’s wife and 40+ to my mom. 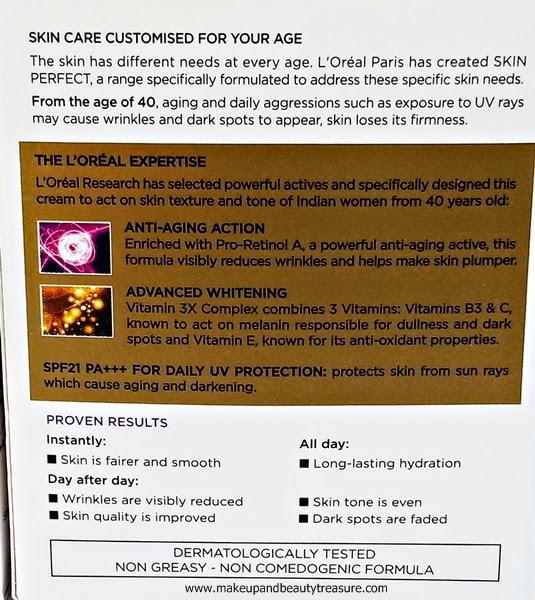 All in all, I am so happy that L’Oreal has come up with a great initiative to provide creams for specific age groups. I shall do a detailed review of the cream in my next post. Till then, stay tuned! Disclaimer: The items were sent by PR for consideration. The opinions are based on my own honest and personal experience with the products.